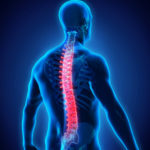 Spinal Cord Stimulation was approved in 1989 by the FDA and is frequently used in patients with chronic pain syndromes who have not found pain relief from other treatments. Spinal cord stimulation can be used as a spinal pain treatment for patients with severe, chronic pain due to a variety of conditions, including failed back surgery/arachnoiditis, neuropathic pain/neuropathy and complex regional pain syndrome/reflex sympathetic dystrophy. Every patient experiences different relief from this spinal pain treatment, though most successful cases have at least a 50 percent decrease in pain allowing them to return to a more active lifestyle and reduced use of pain medications. 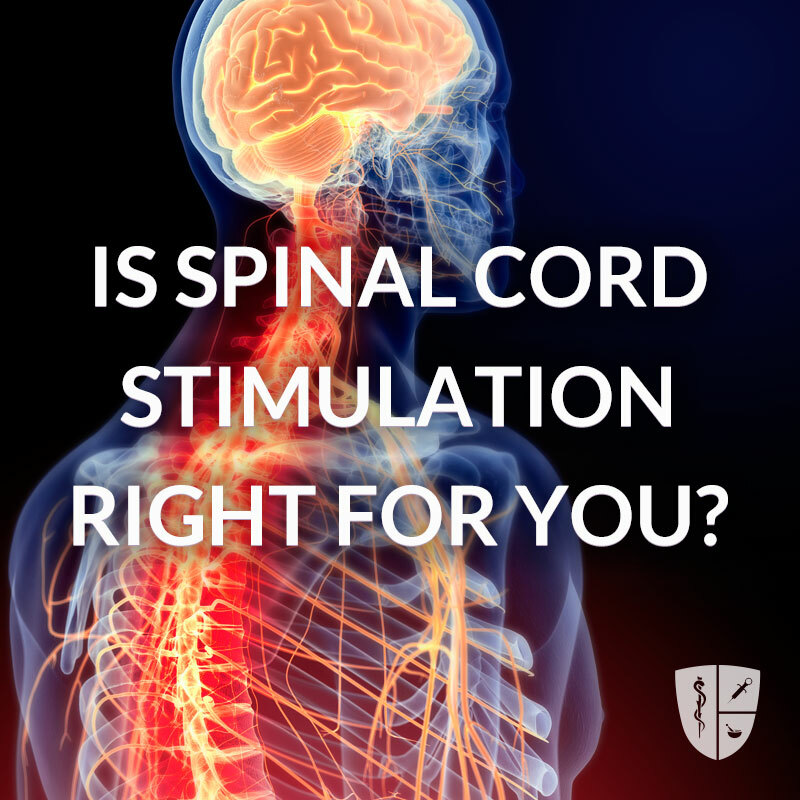 In general, neurostimulation works by applying an electrical current to an area of the spinal cord to block unpleasant sensations from reaching your brain. This creates a pleasant stimulation that blocks the brain’s ability to sense the previously perceived pain. These electrical impulses applied to the spinal cord interrupt pain signals to the brain, replacing them with a tingling pleasant feel. This stimulus is generated by a small device which is implanted under the skin. The stimulation to the spinal cord is delivered from this tool through insulated wires called leads, which are placed next to the spinal cord. Using a hand-held generator that works like a remote control, the stimulator can be adjusted to specific areas and levels of pain, depending on activities and how the pain changes throughout the day. This generator can be programmed in a way similar to using a remote control to adjust the television. The area or intensity of electrical stimulation can be changed, and the system can be turned on and off or adjusted as necessary to provide optimal pain relief. Although programming is initially done at the physician’s office, patients can learn how to control the stimulation on their own and adjust it to their pain levels. Who should have Spinal Cord Stimulation? The first step in the process is to get a comprehensive evaluation by a pain or spine physician. 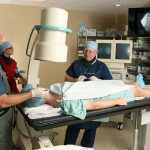 They will determine if you may be a good candidate for spinal pain treatment, spinal cord stimulation, for chronic pain. While spinal cord stimulation can be used to treat chronic pain from multiple sources, it does not eliminate the source of pain or treat the underlying cause. Rather, it interferes with the transmission of pain signals to the brain, so the brain does not recognize the pain. If your pain is caused by a correctable condition, then this must be addressed first. It is important to note that the degree of relief experienced from spinal cord stimulation varies from person to person. As pain changes or improves, stimulation can be adjusted as needed. Trial stimulation is very important to determine if the procedure will be successful. It will judge if stimulation is correct for the type, location, and severity of pain. It will also evaluate the effectiveness of various stimulation settings of the device. It is essentially a test drive before you decide if neurostimulation is right for you. Placement of the trial stimulator generally takes about 10 to 20 minutes; the patient can go home soon after the leads have been inserted. The procedure is an outpatient process often done in the office with mild sedation. The leads are placed through a needle inserted in the back (no incision is required) very similar to an epidural steroid injection. Once the leads are correctly positioned they are sutured in place and a sterile dressing is applied. The leads are attached to an external generator/power supply (worn on a belt) and stimulation settings are programmed. After the trial procedure, the patient will be sent home with instructions on how to use the trial stimulator and care for the site. Patients are encouraged to keep a written log of the stimulation settings during different activities and the level of pain relief. After 3-5 days, they will return to the doctor’s office to discuss the outcome of the trial period. 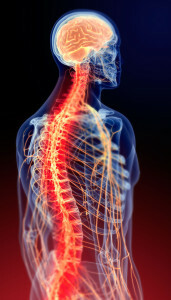 If there is significant relief from pain during the trial, a permanent spinal cord stimulator can then be implanted. For the permanent system, a surgical procedure is required to place the generator in the upper buttock or abdomen under the skin. The leads are again placed in the correct location as indicated by the trial and secured in place under the skin. Wires are then attached to the generator so that the entire system is under the skin. The procedure takes 1 to 1.5 hours to complete, and is done on an outpatient basis (meaning no overnight hospital stay is required). The generator and incisions are so small that patients can wear bathing suits, or participate in any other activities without inconvenience or interruption. Nothing is visible on the body, and there is nothing to carry. Batteries power the system. Depending on the amount of use the batteries will need to be replaced periodically (e.g. every two to five years) through a follow-up surgical procedure. The recent advance of rechargeable batteries in stimulator generators has reduced the need for frequent battery replacement. A trial can test patient response before the patient commits to a permanent implant. It has few side effects and is easily reversible; if it doesn’t work or is no longer needed it can be removed. Implantation of the system is minimally invasive, requiring a relatively minor surgical procedure on an outpatient basis. Leads are inserted just under the skin, and patients can travel anywhere, and participate in recreational activities, including swimming. Achieving pain relief with spinal cord stimulation can allow patients to reduce or eliminate their use of narcotic drugs. Ongoing advances in neurostimulation technology give patients more control to adjust the stimulation if their pain changes in location or severity. Continual improvements in the design of electrodes and longer lasting, rechargeable batteries mean that implantable systems can be placed in locations to give optimal and more efficient pain control than other modalities. Spinal cord stimulation does not work for everyone. Most studies show that 50% to 60% of people find meaningful pain relief with spinal cord stimulation. It does not eliminate the pain. A successful outcome of spinal cord stimulation is considered to be pain relief of 50% or more. Spinal cord stimulation does not address the source of the pain. The system is designed to interrupt pain signals being sent to the brain, but it does not correct any underlying anatomical problem. For many people with chronic pain, this is the right approach to treatment. However, for those with a correctable anatomic lesion, treatments to address the source of the pain should be tried first. This spine pain treatment involves an implant and surgery. As with any surgical procedure and implant, there are certain risks and potential complications associated with spinal cord stimulation. As with all surgical procedures, there are potential risks to stimulation therapy, although most are relatively minor. Spinal cord stimulation is a therapy that can positively impact the quality of your life. Talk with your physician today to see if you are a candidate.